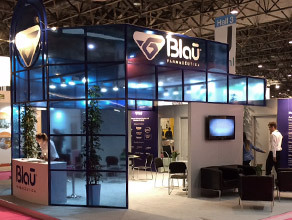 Blau Farmacêutica is currently one of the leading pharmaceutical companies in LATAM countries making highly complex medicines, which are essentialto human health, specialized in oncology, nephrology, hematology, infectology and among others. Located in the city of Cotia at São Paulo metropolitan center, Blau Farmacêutica has three “state of the art” production sites with fourteen production areas sorted by therapeutic class, using the most modern production and quality control equipments. Its manufacturing sites comply with the good manufacturing practices and quality control required by the most demanding sanitary authorities in the world, including Anvisa, Invima and others. The analytical methodologies used for quality control follow both Brazilian and international monographies in their latest releases and utilizes the company’s own developed validated methods. Its equipments are qualified and its processes validated using modern tools to ensure the quality of the process with safety and traceability information. 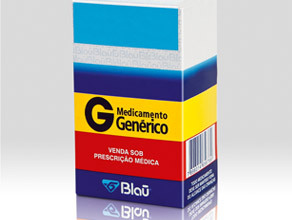 The R&D department of Blau Farmacêutica is divided in two expertise sectors: biological products and synthetic drugs. They develop new products, formulations, processes and analytical methodologies. They use the latest generation of equipments, which are only found at universities and advanced research laboratories. It has a professional team that includes Post-Doc, Doctors, Masters and others. The analytical methodologies used for quality control follow both Brazilian and international monographies in their latest releases and utilizes the company’s own developed validated methods. Its equipments are qualified and its processes validated using modern tools to ensure the quality of the process with safety and traceability information. In its more than 30 years, Blau Farmacêutica has developed more than 100 different pharmaceutical goods, serving a variety of therapeutic areas. The company currently has six subsidiaries in Latin American countries, including Brazil, Uruguay, Colombia, Argentina, Peru and Chile, and will soon be opening a subsidiary in Mexico City. 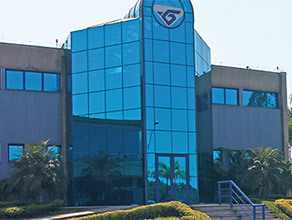 Their growth strategy combined with the full acceptance of its products by the new markets is resulting in the growing demand of their product line not only in the LATAM countries, but also in many other countries around the world, where the company already exports its products to, due to their technical competence which ensures the quality, efficacy and safety for its medicines. This is Blau, an innovative company that strives to improve and go beyond excellency in order to ensure that the largest number of people have access to the most valuable asset that exists: a healthy life.